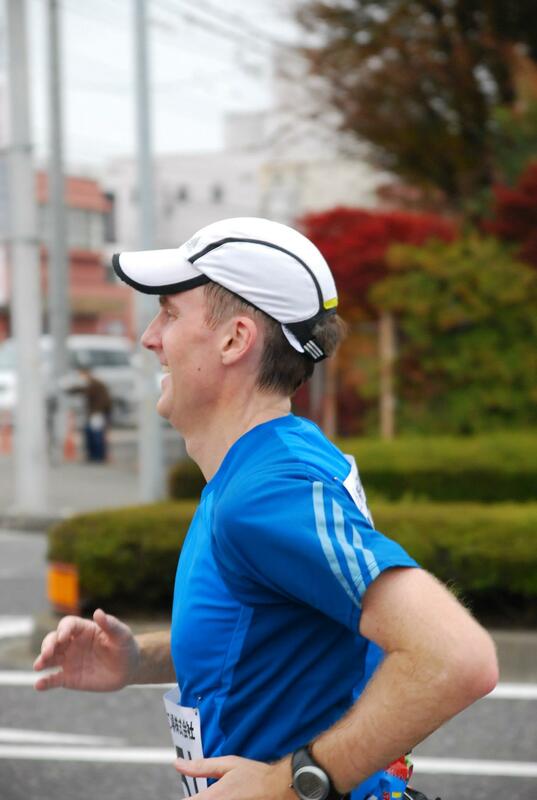 And so ends my 6 months of training for the Otawara Marathon. It starts in 2 and a half days and I would like to think that I am as ready as I ever will be. Of course that is not true. The amateur runner with a job and children and other commitments will never be as ready as he ever will be but he can be as ready as as he could hope to be. There have been many real life events that have interrupted my training over the last few months. Some I could not have avoided, some I chose not to avoid. At the end of he day, the overall choice was my mine and I will live with it. I have trained as hard as I wanted to and not as hard as I could have and I when I out my toe on the line on Wednesday I will know that this is my race. Now all I need to do is to get three good nights sleep and eat well. There is no more running to be done until 10am on Wednesday. It was good to complete five runs and 40km in the week before the marathon even if three of the runs were 5km. Last year I completed 3 runs and 28km but I don’t think that you can compare one single week. However, I have always been lax the week leading up to a race and I feel that this has been a problem. We will soon find out if the extra runs will have had any benefit. Although Monday is generally a rest day, I had hoped to run as I was getting over a cold and had not run over the weekend. However, when I got back from work on Monday night it was raining. I generally don’t care if it is raining or not, but this time it was too close to my race and I was afraid that my cold would start up again. So I took some extra rest and hoped that I would get better. Tuesday I had a real life event after work so I could not run. My cold continued to improve. On Wednesday I woke up feeling terrible. Life had eventually caught up with me and I was miserable. Unfortunately after waking at 5:45 I could not go back to sleep so I went out and did an easy 5km. This was my first run in 7 days. Totally unplanned and unpexpected I made it out the door just after 6am and broke the spell. On Thursday I was feeling a lot better so Harrison gave me this workout to see how I was fixed for the race. This was my first hard run in over 10 days and it went well. I was able to run the 8km portion in 36:31 which is at a 4:34 pace and with an average HR of 169. The first half was better than the second half as I was wearing too much clothes and I started to heat up when I was running into the wind on the way back. However, my right foot was sore right after I had finished the 8km part and I had to take my shoe and sock off to massage it. I then ran home very gently. Friday was another easy day with 5km around the neighborhood. I was finally winding down. Saturday was an easy 5km run with 30 seconds of strides at the end of each 1km. It went well and I was finished before lunch. I made myself a whooping big juice with beets, curly kale, apple, turmeric and wheatgrass to celebrate before heading out to see the art exhibition by my friend George and meet my other friend Alan who was over from London. with no serious impact. I then went home and spent the rest of the day getting my car tested. I finally succeeded sometime after 6pm. Is your introduction inspired by the concession speech of Hilary?! You will do great, I am sure, you had a well balanced volume/intensity training. I hope everything goes well for you on Wednesday – have a good one! Wating for your race report man ! I am writing it now! Man!